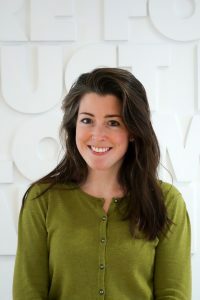 Anna Whicher is the lead researcher on policies for design and innovation at Design Wales, part of the National Centre for Product Design and Development Research (PDR) at Cardiff Metropolitan University. Since 2009, Anna has been coordinating the SEE network of 11 European partners sharing international best practice to accelerate the integration of design into innovation policies and programmes (www.seeplatform.eu). Since March 2013, Anna has been a board member of the Bureau of European Design Associations (BEDA). She holds an MSc in European public policy from University College London and a BA specialised in European integration and French from the University of Reading. Anna has worked as a parliamentary assistant in Westminster, as press officer in the French Ministry of European Affairs and as assistant marketing manager for Siemens in Paris. In parallel to her work, Anna is undertaking a PhD to analyse design as a driver of innovation policy.